Val d'Isere is known as the place to ‘rendezvous' if you want the very best of refined or classy skiing. 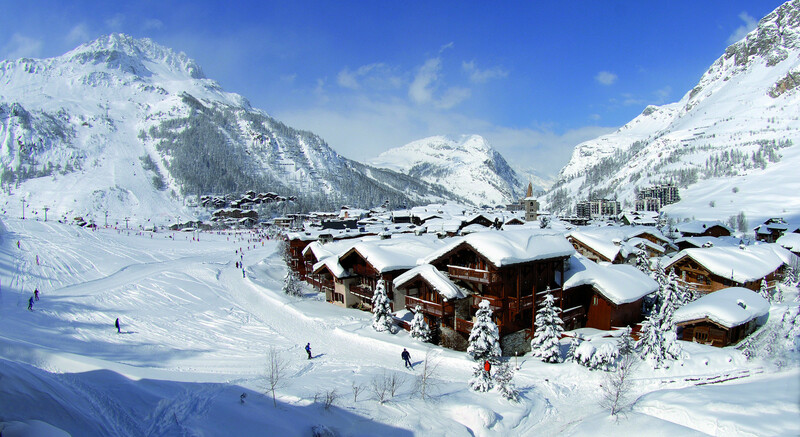 The ski resort of Val d'Isère offers a full range of luxury services accessible to all. Elegance, quality and well-being are the words on the street and entice visitors from all walks of life. The slopes of Val d'Isere and the Espace Killy open the eyes of everyone to the world of skiing. Whether you are a skier, snowboarder, telemarker, beginner, intermediate or advanced, you can only but enjoy the vast and varied ski area that is Val d'Isère. There are new areas set aside in Val d'Isere specially designed for beginners and families for safe learning. More than a ski resort, Val d'Isere has thousands of actitivies to keep you entertained. The Sports Centre in Val d'Isere welcomes you for an après-ski relax or an intense gym session: With 5000 m2 of sports facilities including 780 m2 of pools, you will be spoiled for choice: a swimming pool, leisure pool, climbing gym, multi-gym, fitness room, gym, 2 squash courts and a wellness area (sauna, steam room, hot tub, cold bath, hydro massage) undoubtedly make this one of the best sports centres in a ski resort. After exercise, the reward; parties, relaxing or gourmet meals, Val d'Isère has it all. Strolling the streets of Val d'Isère is a pleasure, whether for shopping or cruising for a local restaurant or trendy bar. Events wise, Val d'Isere is in the big league: 1992 Olympic Games, 2009 World Alpine Skiing Championships as well as the ski season opening party ‘Critérium de la Première neige' has been held for the last 54 Years. Val d'Isere hosts the biggest events and doesn't hold back in allowing you to feel the rhythm of the festivities.